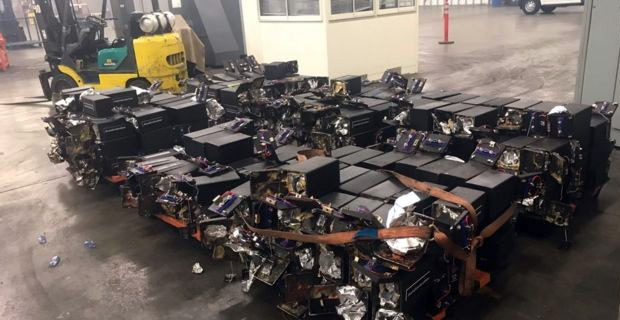 Authorities say the 1,728kg stash ‑ the largest ever intercepted drug shipment to Australia ‑ was found in January at a port in California. The haul is said to be equivalent to 17 million doses and worth an estimated A$1.29bn. Among the suspects are two Americans: a 52‑year‑old man and a 46‑year‑old woman. They are believed to be involved with a US‑based crime syndicate that tried to smuggle the drugs in containers marked as carrying audio equipment.